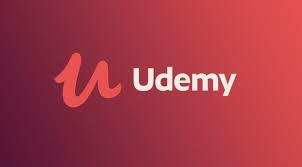 Udemy.com as we all know is a premium site where you can take any course on almost every subject matter in the world. Established in 2009, Udemy has provided many with free and paid courses at very cheap prices that you probably cannot get elsewhere. The problem with Udemy however, is that when one wants to have access to the tutorials he bought or to free tutorials offline, he finds it hard to do so. Especially when he or she is browsing with a laptop. Udemy however has a mobile application that is available for both android and iOS respectively. This mobile application has a feature that allows users to save videos so as to watch them in offline mode. But the problem with it is that the saved videos are not available in the gallery as they found a way of hiding them. This is a very huge problem for people who wish to share such videos with family members and colleagues at the workplace. Although some Udemy videos have links to download on the dashboard if the author wishes to allow viewers download it, it is somehow tiring to do that and most premium videos do not have this feature enabled. In this tutorial, we would be looking at the various ways of downloading Udemy videos in parts and in bulk. Some of the tools we would discuss are free, premium and some have free trial periods. They are all tested and confirmed to be working and so, it is left for you to choose the one that best suits what you want and go for it. 1 Udeler cross-platform Udemy course video downloader: this is an open source software that allows you download Udemy courses to your PC free of charge. All you need to do is to login to your Udemy account through the application and you can download your videos on the go. You can download multiple videos at once and it is very easy to operate. Features of the Udeler software includes its ability to choose the video quality of your choice, download multiple courses at a time, set download start and download end, pause and resume downloads at any time, choose download directory and its multilingual ability. 2 Allavsoft: this is also a very powerful tool that can be used to download videos from different video servers like YouTube, Lynda, Udemy, etc. at once. To download Udemy courses with Allavsoft, download the application from the developer’s website, enter the URL of the Udemy course, you can choose the video format you want it to be and every other setting you wish to do. Then, click on the download image below the page. You will be prompted to enter your Udemy login details and once you have entered the correct details, the videos will be downloaded by the application. 3 Internet download manager: this is a very powerful software that allows you download videos from Udemy and indeed all video sites. It is premium and they also give you some days of free trial. Once you have it installed, it adds an extension to your browser from where you can download your videos. Once installed, open up your browser and login to your Udemy account. Start watching the video and once it starts playing, click on the download icon at the top right part of your current window (this button was added by Internet download manager). Once clicked, the video will be downloaded to your PC. All you need to do is to click on other videos once the first is downloading and repeat the steps as above and you will have all of them downloaded to your PC. 4 From the Udemy android application: Yes! I earlier stated that you can download Udemy videos on the Udemy mobile application but the issue is that it cannot be accessed elsewhere except the app. There is a way however of transferring the downloaded videos to your system and view it anytime you want. This is ideal if you do not want to use any of the fore mentioned third-party applications. i. Connect your android device to your PC using a USB chord or any other method of your choice. ii. Enable MTP on your android device, open the storage location you are saving files to on the android. iv. You will see all the video tutorials you have downloaded earlier in the udemy-final-downloads folder. Just copy the videos to your PC and that’s all. There are other methods that can be used to download video tutorials from Udemy that were not listed in this article. Do you think we missed a very important one? Tell us about it through the comment section below. We would like to hear from you. Did you try any of them and it worked? Also let us know about it and we would be glad to hear from you.